The Jewish Independent family is mourning the loss of one of our own. 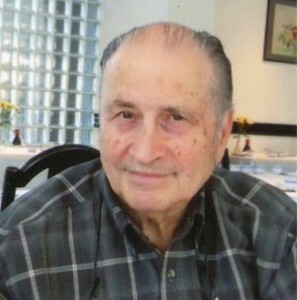 Ron Freedman, who was an account executive at the Jewish Western Bulletin and the Jewish Independent from 1968, passed away at Irene Thomas Hospice in Ladner on Dec. 17. Ron was an institution at the paper, and in the Vancouver business community. As much as the paper’s editorial staff tends to be the most visible face of the paper, the advertising department is what allows the operation to continue. As such, it is much to the credit of Ron Freedman that this newspaper has survived and thrived for decades while dramatic changes have taken place in the publishing industry. Ron’s primary responsibility was ensuring the success of the paper’s special holiday editions – the Rosh Hashanah, Chanukah, Pesach, Yom Ha’atzmaut and JI / JWB anniversary issues – by nurturing relationships with individuals, organizations and businesses that sought to reach the Jewish community throughout the year. For decades, the special editions, filled with ads from leading local businesses, elected officials and organizations, have been the largest revenue generators, subsidizing the paper’s operations throughout the year. That the answer to that question, on a great number of occasions, was “yes,” is a significant part of the reason this media exists today. But “the sale” was secondary to him. Ron was genuinely interested in people, and his warmth and compassion shone through his every interaction. For we who worked with him – and there is no one now associated with the paper who worked with Ron longer than his son, Steve, who has followed in his dad’s professional footsteps – Ron was a friend, a source of laughs, wisdom and someone whose institutional memory helped the organization transition across times of immense change in the economy and in the company. Even exceeding by many years the long-serving publishers of this paper, Samuel and Mona Kaplan, Ron’s tenure spanned epochs in the history of this paper and of the Jewish community. We share with his family their suffering at his passing, and include below the obituary that ran in the newspaper’s Jan. 9 issue. We thank him again for all he did for the paper, for the Jewish community and for all of those with whom he worked. We miss him. May his memory be for a blessing. With much sadness we announce that our beloved father Ron, age 79, passed away peacefully at the Irene Thomas Hospice in Ladner with family at his side on Dec. 17, 2014, after a short, courageous battle with cancer. He was predeceased by his wife Cathy in 2011 and his sister Linda, and is survived by daughters Susan, Debbie (Peter), Sandy (Brad) and grandchildren Derek and Grant, and sons Steve and Dave (Betty Mae). Dad worked for more than 50 years in newspaper advertising sales, at which he excelled. Forty-six of those years were at the Jewish Western Bulletin / Jewish Independent. Ladner was Dad’s home for 18 years. He was a very active member at the McKee Seniors Recreation Centre, an avid fundraiser and participated in many activities and excursions. Dad loved crib and he would play anywhere with anybody. He also traveled and enjoyed many cruise vacations. Known for his outgoing nature, wit and sense of humor, he touched the lives of many around him. He enjoyed music, TV sporting events and dining out. Dad lived a full life and will be greatly missed by his children, extended family and many friends. A heartfelt thank you and appreciation for their compassionate care goes to the Irene Thomas Hospice staff and Dr. O’Brien. Also, special thanks to Dr. Pearce and Ray MacDonald, spiritual care practitioner, who provided Dad special comfort with his music and words along with the caring staff at the Laurel Place Hospice in Surrey and Dr. Lund from Surrey Memorial Hospital. A service of remembrance will be held on Sunday, Jan. 25, at 2 p.m., at the McKee Seniors Recreation Centre, 5155 47 Ave., Ladner. In lieu of flowers, a donation in Ron’s memory to the Irene Thomas Hospice, McKee Seniors Recreation Centre or Laurel Place Hospice would be greatly appreciated. My Thoughts and Prayers go out to the entire Freedman Family. I had the honor of meeting Mr. Freedman on several occasions. He was a Great Man. RIP Ron ! !